So, let’s talk about the art of validation. Think of good therapists, for example. They don’t argue or give unsolicited advice: instead they walk alongside a client, listening and validating. After a client has finished articulating their feelings to this non-judgmental listener, ideally they’re able to come up with their own solution to the problem. 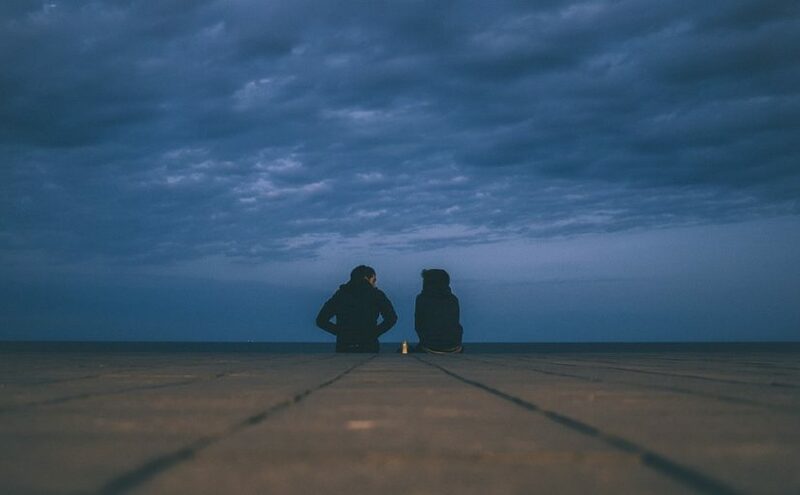 When it comes to friends and family, however, finding someone who’ll be a non-judgmental listener can be difficult, no matter how close we are. When someone interrupts us to argue or give unwanted advice, it feels like we aren’t being heard and we aren’t being allowed to express our true feelings. We end up debating in self-defense, or simply shutting down. In the frustration that comes from longing to be understood, we find ourselves stuck in feedback loops: sharing our view again and again in the hopes that they’ll finally get it. Ongoing invalidation can be greatly damaging to a relationship. We’ve all experienced being misunderstood, and therefore know how hurtful it is. What’s more, it’s human nature to take a contrary view whenever we feel backed into a corner and put on the defensive. Even if we don’t necessarily believe the contrary view we’re asserting, if the feedback loop lasts for too long (we feel misunderstood), our contrary view (or their’s) might indeed become solidified, and neither of us will ever discover the true heart of the other. But if instead of arguing or advising or trying to cheer someone up with platitudes when they come to us to unburden, we let them share their deepest laments without judging them (i.e. listen and validate, even if we disagree), they’ll in many cases be able to see the folly of their own view as they are expressing it (or we’ll see our own folly!). This is perhaps hardest to do when their vent is an accusation toward us. The knee-jerk reaction in the heat of the moment is to defend ourselves. But by resisting this temptation and validating their concerns instead (which doesn’t mean accepting false guilt or tolerating verbal abuse, don’t get me wrong), we give them the chance to see the situation more clearly as things cool down (because they won’t feel pushed into contrariness through wounded pride). See, this is why platitudes are so ostracizing and offensive. No one who is mourning wants to be told to cheer up. Such comments, no matter how well-intended, are deeply hurtful. But if the mourning person herself eventually attempts to look at things positively, then that’s the time to encourage her by validating her own statements. So mourn with her when she mourns, and rejoice with her when she rejoices. That’s solidarity. Stay in sync with the grieving person by mirroring: let them take the lead (because you can’t change another person’s feelings – only they can do that). On a side note, I’m not saying we should always mirror the other person. This is a matter of discretion and context. In the case of anger or grumpiness, we shouldn’t let someone else’s bad attitude or gloomy mood ruin our day. That’s not what I’m suggesting. By validating their emotions, however, (and sharing them in certain cases) we give them a chance to let go of them—so they in turn can mirror our more positive mood. Let’s consider here the therapeutic nature of prayer. When I pour out my heart to God, it helps me articulate my feelings and crystallize my thoughts—it clears the clutter in my mind and often gives me a new perspective. In expressing those feelings and concerns out loud, I begin to have enough clarity to think of possible solutions. In many ways it’s like talking to a therapist. Maybe this is why God can seem so silent. When Job’s friends mourned with him silently, he was comforted, but when they judged and lectured him he was plunged into isolation and the exhaustion of defending himself. His grief was doubled by their lack of understanding and validation – by their noise and chatter. In contrast, when we pray, God doesn’t lecture, debate, criticize, judge or invalidate us; it would only put us on the defensive or cause us to shut down. He instead listens to us quietly; mourning with us or rejoicing with us. God’s silence when we grieve enables us to rest in his solidarity. If God is quiet when we mourn, is he therefore loud when we rejoice? Perhaps he is. Consider how that loudness might manifest. People often say that God feels closest when they’re feeling happiest. When we’re happy we’re full of praise and gratitude and hallelujahs and God is so good, and we feel like God’s presence surrounds us warmly. So in conclusion, as we strive to better validate our friends and loved ones during difficult times, sitting with them quietly and without judgment as Job’s friends did during those first few weeks before they erred, let’s also remember that when God is silent and we feel deprived of his presence, he is actually just as present with us in these times as he is in our times of joy.